HR professionals, employees, leaders, academia, and leadership scholars conclude toxic leaders increase stress on employees, organizations, and other stakeholders. Left undetected, toxic leaders lower morale, retention, and productivity rates. In extreme cases, toxic leaders create hostile work environments. In all cases, workplace toxicity creates an economic burden. Employees and HR professionals report toxicity and the subsequent damage imposed from CEOs, VPs, directors, team leads, etc., describing behaviors of incompetence and demanding, controlling, aggressive, dishonest, arrogant, and strong personalities. However, these leader characteristics do not fit the full scope of what represents a toxic leader. A leader who has a “soft voice” or who appears “sincere” can be toxic. Leader toxicity is not exclusive; instead, it is inclusive of all levels of leadership systems (toxic leader, culture, organization, etc.). In her 2015 dissertation, business scholar Sabrina Michele Maxwell suggests mitigating toxicity requires proactive preventative methods through early detection and individualized leader development/training, thereby protecting subordinates, organizations, and other stakeholders from the impact toxicity imposes. A 2014 report published in the journal Stress & Health states the implications of not having a proactive approach include unwanted turnover, reduced productivity, and increased absenteeism. In “Handling Toxic Emotions: New Challenges for Leaders and Their Organization,” business scholar Peter J. Frost suggests toxicity must be addressed in the designing of an organization’s architecture and regulatory processes. These scholars confirm the findings of Art Padilla, Robert Hogan, and Robert B. Kaiser, who studied three characteristics critical for the fertility of destructive (toxic) leadership: a toxic leader, a follower, and an environment conducive to toxicity. Bad ethics and behavior could be motivated by an individual’s attempt to satisfy personal needs, an attempt to increase their personal status or power, or as a result of personal prejudice toward a group(s) of people. Pre-exposure to toxicity in a person’s life or career or lack of competency in management/leadership skills may be the root of the problem for some toxic leaders, according to Marcia L. Whicker. The toxic leader may not recognize or consider their behavior toxic, but instead may view their behaviors as socially normal. Likewise, Maxwell asserts they may not understand the effect their behaviors have on others. Followers of toxic leaders report a multitude of personal harms as the result of exposure to toxicity, including physical, emotional, psychological, and financial harms. Participants in the Stress & Health study cited above reported physical harm (e.g., colds, hair loss), emotional harm (e.g., stress, anxiety, anger), and psychological harm (e.g., self-doubt, loss of confidence) because of toxic leaders’ behaviors. It is common among followers of toxic leaders to either not report the behaviors or to do so anecdotally rather than through formal channels for fear of being socially excluded or receiving little support from the organization. 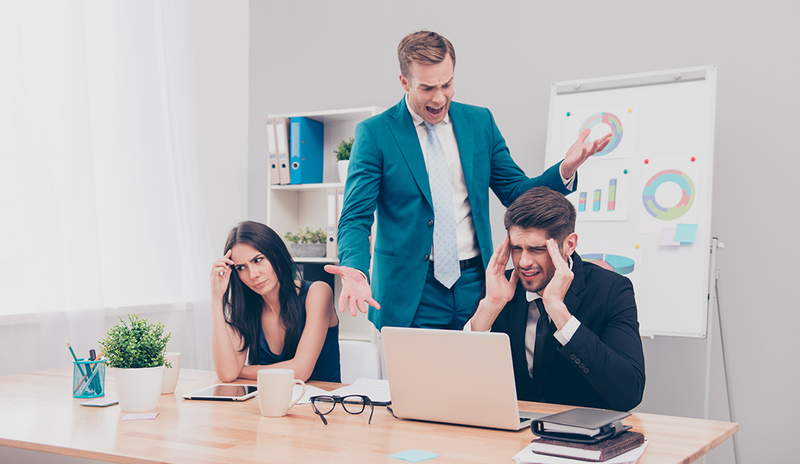 When an employee becomes a victim of a leader’s toxic behaviors, the performance, health, and financial well-being of the employee, organization, and other stakeholders suffer. An organization’s culture and spoken/unspoken policies might be a breeding ground for leadership toxicity. 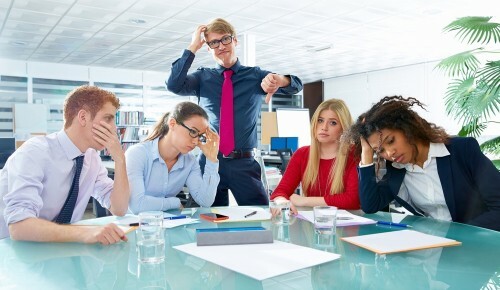 If toxic behaviors are not taken seriously, or if more focus is placed on the leader’s ability to deliver than on the behaviors exhibited in the process, toxic leadership is allowed to feaster and do harm. There is much contradiction in HR professionals’ understandings of and responses to workplace toxicity. Business scholar Renee L. Cowan found that even though HR professionals reported there were policies to address bullying in their organizations, these policies were often vague or made no mention of bullying. Study respondents reported limitations due to complications in defining bullying behavior and their low power position in stopping the behavior. HR professionals are extensively involved in, if not solely responsible for, coordinating hiring, terminations, training and development, managing the organization’s human resources, and resolving employee-related plights. HR professionals monitor job satisfaction, turnover, employee motivation, and employee perception to ultimately increase their organization’s performance. Thus, access to information on leadership toxicity makes HR professionals key to mitigating workplace toxicity. HR’s efficacy in recognizing and addressing toxicity will ultimately increase organizational performance. Recognizing and addressing toxicity and other deficiencies that hinder organizational performance will require understanding and communicating development opportunities. HR professionals must associate the need for development with the realm of social responsibility, which will prove beneficial to the organization and community as a whole. Margaret Gary is Ocala Human Resources Management Association Diversity Chair. Margaret Gary is a business leader and entrepreneur who has lead teams and projects for more than 20 years. She is currently a Doctorate of Business Administration student at Saint Leo University, focusing on business management, marketing, and related support services. Margaret previously earned a master's in business administration with a specialization of healthcare management and a bachelor's in psychology at Saint Leo University. Margaret's professional experience includes college professor, human resources and staff development manager, international B2B and B2C sales and marketing manager, operations management, and accounting and finance management. Margaret is an alumni board member at Saint Leo University and the diversity chair of HR Florida State Council's Ocala chapter, with past board responsibilities of workforce readiness chair. She is passionate about children, therefore much of her volunteer efforts are focused in child advocacy. She serves as a board member at Children Home Society, volunteers for Academic Year in America, and volunteers for Junior Achievement U.S.A.